South Korea's unemployment rate rose slightly in July due to fewer positions in the health care, education academy and manufacturing sectors, with the number of new jobs created hitting the lowest in over eight years, government data showed Friday. The unemployment rate stood at 3.7 percent last month, up 0.3 percentage point from a year earlier, according to the report compiled by Statistics Korea. South Gyeongsang Province Gov. Kim Kyoung-soo is set to be arraigned by a court Friday over his arrest warrant in a probe into a suspected massive opinion rigging by a political blogger. The Seoul Central District Court will review the special prosecution's request for his writ in a hearing slated for 10:30 a.m. Special Counsel Huk Ik-bum and his team filed for the warrant Wednesday on charges of interfering with business by using digital devices. More than half of South Korean farmers believe their country's agricultural industry will improve if economic cooperation with North Korea becomes active, a recent survey said Friday. The Korea Rural Economic Institute (KREI) polled 1,379 farmers on their views of cross-border economic tie-ups and found 66.3 percent anticipate South Korea's agricultural sector to get better from the cooperation. Another 23.6 percent said the effect of the tie-ups will be average, while 10.1 percent answered the conditions will worsen. U.S. Secretary of State Mike Pompeo on Thursday expressed hope for a "big step" in the near future in negotiations with North Korea to dismantle its nuclear weapons program. Pompeo made the remark at a Cabinet meeting led by President Donald Trump at the White House. When asked by Trump to provide an update on the North, Pompeo said that there had been no additional missile tests or nuclear testing from the North Koreans for many months. India is reportedly considering imposing safeguard measures against steel products from South Korea and Japan. According to Reuters on Thursday, Indian authorities are reviewing the option after local steel makers filed an application last month seeking safeguard measures for a four-year period. The Indian steel makers have reportedly been pushing for the measure, saying that a surge in steel imports from South Korea and Japan is causing serious damage to local producers. President Moon Jae-in has ordered special measures to alleviate the tax burden of self-employed people and small business owners struggling with increased costs following a minimum wage hike. Deputy presidential spokesperson Ko Min-jung said Thursday that the president gave this order to the chief of the National Tax Service(NTS) while he was being briefed about the tax agency's measures to ease the tax burden for the group. Asiana Airlines said Friday it will partly cut back flight services to U.S. and European cities starting in October to comply with instructions by the government. The Ministry of Land, Infrastructure and Transport conducted a special inspection of the carrier earlier this month for its high rate of flight delays and recommended that it set aside reserve planes that can be put in service when others are undergoing maintenance or when in need of irregular flight routes. The floor leaders and top policymakers of rival parties met Friday to discuss key economic bills to be handled at the ongoing extraordinary parliamentary session. Standing committees have begun to review a set of bills on deregulation and people's livelihoods as the session opened Thursday. They are expected to be put to a vote at a plenary meeting to be held a week later. The preorders for Samsung Electronics Co.'s Galaxy Note 9 smartphone, which started earlier this week, are estimated to be higher than the Galaxy S9 while slightly trailing numbers for the Galaxy Note 8, sources from South Korean mobile carriers said Friday. "The number of preorders we are receiving for the Galaxy Note 9 are higher than the Galaxy S9, although they are smaller than the Galaxy Note 8," a source from a local mobile carrier said, claiming that the number of early adopters has also been falling in the market. Han Ji-young, a professional in her 30s, was almost late for work last week. As she does every morning, she visited her go-to cafe to grab coffee on the way to her office in southern Seoul. The queue was unusually long that day, she said, partly because of the hot weather. When she finally got her coffee, after minutes of waiting, she realized the beverage was served in a glass mug, not the plastic cup that she usually gets for take-out drinks. “It turns out, one of the staff members at the cafe made a mistake,” she told The Korea Herald. Hanwha Energy, the energy arm of South Korean conglomerate Hanwha Group, broke ground Thursday to build a 50-megawatt hydrogen fuel cell plant in Seosan, South Chungcheong Province. The plant is the first in the world to use byproduct hydrogen as fuel, officials said. The plant is to start commercial production from June, 2020 and is set to provide 40,000 megawatt-hours of electricity. Deaf people in Korea can get a driver's license if they can hear sounds louder than 55 decibels like sirens and car horns, according to the traffic law. But when it comes to taxi drivers, passengers may feel uncomfortable communicating with the driver. However, Seoul put its first deaf taxi drivers on the road this week, by taking advantage of communication-aiding technology. The interim leader of the conservative Liberty Korea Party (LKP), Kim Byoung-joon, criticized President Moon Jae-in, Thursday, for giving people "empty hope" about North Korea. Regarding Moon's Liberation Day speech, in which he presented a rosy outlook for inter-Korean economic cooperation saying it could create 170 trillion won over next 30 years, Kim said Moon was too optimistic about the North. The National Tax Service (NTS) said Thursday it will not audit the books of 5.69 million self-employed and small business owners until the end of next year. This will let them focus on running their operations without having to worry about tax investigations. The move comes as they increasingly face hardship amid a weak economy and rises in the minimum wage. Earlier this week, President Moon Jae-in called on his staff to immediately come up with measures to help deal with their problems. North Korea is selling tickets for the notorious mass games to celebrate its 70th anniversary next month at more than W1 million each (US$1=W1,130). The mass games mobilize tens of thousands of North Koreans to hop around in unison and produce patterns with colored cards in a queasy display of people surrendering their individuality to the state. The last time they were held was in 2013. The massive Jeju Shinwha World gambling resort is raking in huge cash from gambling-obsessed Chinese tourists even as other businesses on the island are floundering. Since opening its doors in February, Shinwha World has raked in W369.4 billion in revenues (US$1=W1,130). Over the whole of last year, the other eight casinos in Jeju only made a combined W136.5 billion. Shinwha World made five times more than Korea's biggest casino, Paradise City in Incheon. The remains of some purported American soldiers who died in the Korean War and were returned to the U.S. by North Korea in the 1990s were in fact South Koreans. 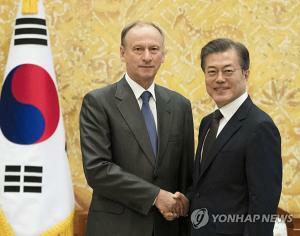 The Defense Ministry said Wednesday that U.S. and South Korean officials are currently discussing their return home. "We were recently informed by the U.S. that it is holding the remains of 35 South Korean soldiers and we are discussing their return," a ministry official said. On Aug. 15, South Korean President Moon Jae-in unveiled the East Asian Railway Community Initiative that would involve the six countries of Northeast Asia, namely South Korea, North Korea, China, Japan, Russia and Mongolia, in addition to the US. This represents a plan to expand inter-Korean economic cooperation into a multilateral system for peace and security and an economic community in East Asia. Moon also announced a plan to set up “special unification economic zones” in the border regions of Gyeonggi and Gangwon provinces. Eleven of the 56 vessels designated by the UN Security Council (UNSC) as subject to North Korea-related sanctions have been operating relatively actively without any particular efforts to stop them, Radio Free Asia (RFA) reported on Aug. 14. In its report, RFA said tracking data from the private ship movement information site Marine Traffic on the 56 vessels announced as subject to sanctions between 2016 and 2018 on the UNSC Sanctions Committee on North Korea homepage confirmed that 11 of them have been involved in continued activities until recently. The Malaysian court ruled that “there was sufficient evidence of guilt” over two women indicted for suspicion fun or killing Kim Jong Nam, half-brother of North Korean leader Kim Jong Un. The ruling, which described the women’s act as an “organized conspiracy” signals a victory for the local prosecutor. The ruling has not been announced yet, but it would be difficult to overturn the decision without an appropriate refutation from the accused. The accused can make a counter argument in November and February next year, thus it may take several months for the final ruling to be determined. 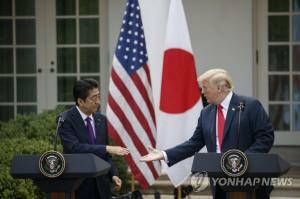 North Korea slammed the United States for showing a negative stance on renewing the inter-Korean economic cooperation before denuclearization, accusing Washington of coercively interfering in Pyongyang’s domestic affairs. The communist regime labeled the United States as “the root cause of evil” oppressing their national sovereignty. “While we are taking preemptive measures to achieve a complete denuclearization on the Korean Peninsula, the United States is repeatedly making unilateral demands, instead of taking measures comparable to ours,” said North Korea’s Pan Korean Alliance for Reunification in a joint resolution issued to commemorate the Liberation Day of Korea. Amazon.com and Microsoft Inc. announced Wednesday (local time) that they will integrate their virtual assistants, Alexa and Cortana. They plan to launch a beta service to collect user feedback, before going ahead in earnest with the full integration of their digital assistants next year. The collaboration is expected to give the two companies an opportunity to expand their markets. Launched in November 2014, Amazon’s Echo accounted for half of the voice-assisted device market as of last year, with about 10 million users. The government is automatically suspending tax audits of 5.19 million small businesses, such as restaurants and convenience stores, as they struggle to pay staff after the hikes in the minimum wage. Tax agents will not even check income tax and value-added taxes that small businesses are reporting. Business owners who are exempt account for 89 percent of the 5.87 million small businesses in Korea. President Moon Jae-in said Thursday dialogue between Pyongyang and Washington on denuclearizing North Korea was progressing at “an unprecedented pace” and that people “should not worry too much” about the seemingly stalled talks. Moon made the remark during a luncheon meeting with floor leaders of five major political parties that included the ruling Democratic Party and the major opposition Liberty Korea Party (LKP) at the Blue House. It was the first such meeting since May 2017. A group of BMW owners has requested that the Transport Ministry carry out additional tests on the German automaker’s vehicles to find out if there’s really more going on than just faulty emission gas recirculation (EGR) systems. BMW continues to claim that defects in the EGR cooler and valve are the only cause of the vehicle fires, but owners in Korea and multiple experts are not convinced by their theory considering the frequency of fires here compared to elsewhere. On August 15, special prosecutor Heo Ik-beom requested an arrest warrant for Kim Kyung-soo (51), governor of Gyeongsangnam-do. He made the request nine days after he first called in and questioned Kim as a suspect on August 6. This day, the special prosecutor summoned and questioned as a witness Baek Won-woo (52), Cheong Wa Dae secretary for civil affairs, who met with an acquaintance of Druking Kim Dong-won (49, arrested and charged), whom Druking had asked to be appointed as the consul general of Osaka, Japan. 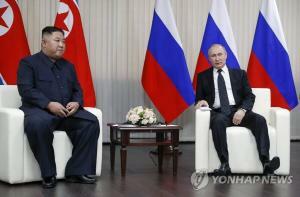 On August 13, North and South Korea agreed to hold the third inter-Korean summit in Pyongyang in September. 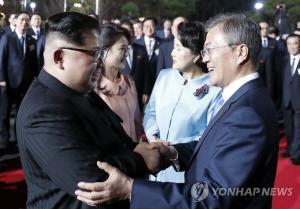 The two Koreas did not release the specific date, but the meeting between President Moon Jae-in and Chairman Kim Jong-un is likely to be held in mid-September. The focus is on whether the upcoming summit will be able to provide a breakthrough in dialogue between North Korea and the United States, which has been in a deadlock on the issues of denuclearization and the declaration of the end of war. On August 12, ruling and opposition party lawmakers reportedly opted to eliminate the special activity expenses of the National Assembly. On August 8, the Democratic Party of Korea and the Liberty Korea Party had agreed to maintain the special activity expenses, while improving transparency by obligating lawmakers to submit receipts of their spending. But as the controversy intensified with the Bareun Mirae Party and the Justice Party refusing to accept the special activity expenses and the public growing more critical of the parties’ decision, lawmakers seem to have decided to remove the budget item. A foreign ministry envoy expressed guarded optimism about the release of a South Korean man kidnapped by an armed group in Libya, saying kidnappers did not identify themselves, acting differently from extremist groups such as IS and Al Qaeda. The Libyan government apparently knows about the movement of abductees by acquiring related information through its own channels, Baik Joo-hyeon told reporters Thursday after a trip to Tripoli. He served as director-general of the consular affairs bureau in the early 2010s and handled two kidnapping cases near Somalia. On a special direction from President Moon Jae-in, South Korea's tax agency decided to suspend a regular tax probe into millions of small firms and neighborhood mom and pop stores, which have been hit by slow sales and rising costs caused by a minimum wage hike. The National Tax Service (NTS) said Thursday it would not conduct tax audits for some 5.19 million "self-employed" shop owners and 500,000 small firms this year and next year. The agency promised not to check their taxation reports, but high-income professions such as real estate leasing, consumer services, doctors and lawyers were excluded. Construction began in South Korea Thursday to build a 50-megawatt fuel cell power plant using by-product hydrogen as fuel. It would be the largest of its kind in the world. Daesan Green Energy, a joint venture led by Hanwha Energy and Korea East-West Power, is responsible for the construction and operation of the new power plant which will cost about 255 billion won ($224 million). 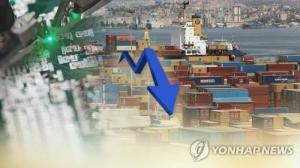 South Korea came down a notch in the global rank in economic scale, coming at 12th in gross domestic product (GDP) while its per-capita income moved up to 31st in 2017 data of the World Bank. According to the World Bank data on Thursday, Korea’s gross domestic product reached $1.53 trillion and placed it as the world’s 12th largest economy in 2017. GDP is the sum of total goods and services produced in a country and it is one of the best indicators for gauging a country’s economic health. Samsung Electronics Co. will release a new sound bar later this month in what would be its first collaboration with Harman Kardon, a premium audio brand run by its newly acquired automotive technology affiliate. The South Korean tech giant said Wednesday the HW-N950 sound bar boasts 7.1.4 channels, the largest number of channels available in a home environment, and is able to create a powerful, immersive audio experience by adopting the latest Dolby Atmos and DTS:X technology. Korea’s Bukwang Pharm announced on Wednesday it has signed a deal to return the exclusive development and marketing rights over rivoceranib, an investigational gastric cancer as a third-line treatment, to its original developer HLB Life Science. 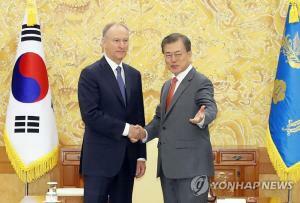 The deal incorporates future profits that could be generated from marketing in Korea, Japan and Europe.